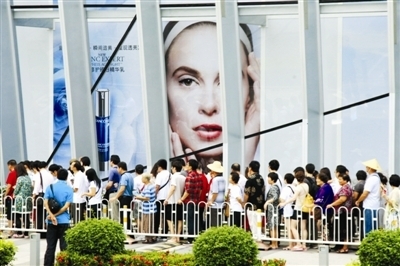 Since the Hainan offshore duty-free policy took effect on 20th April, 2011, the Sanya Duty-free Store has become increasingly popular among tourists from home and abroad, becoming one of the hottest tourist destinations in Sanya, reports 0898.net. The duty-free store is embracing its peak sales season since last December, with the average number of daily visitors exceeding 14,000 and over 5,000 transactions made each day. Cosmetics products remain the most popular items during the 3-day New Year’s holiday. The store has receives more than 2.5 million visitors and gained revenue of RMB800 million since its opening. According to the person in charge, the store will launch more promotions for the upcoming Spring Festival holiday with more international brands and discounts.